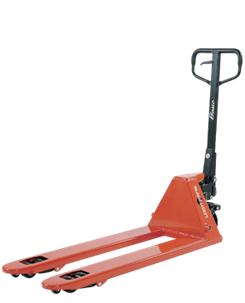 With a ETT pallet truck you get a pallet truck, for which the price is adjusted to the quality. The ETT pallet truck is easy to pump and very easy to operate and maintain. The ETT pallet truck is very maneuvrable and can contribute to a better utilization of space in storage and production areas. The ETT pallet truck is strong and very durable.